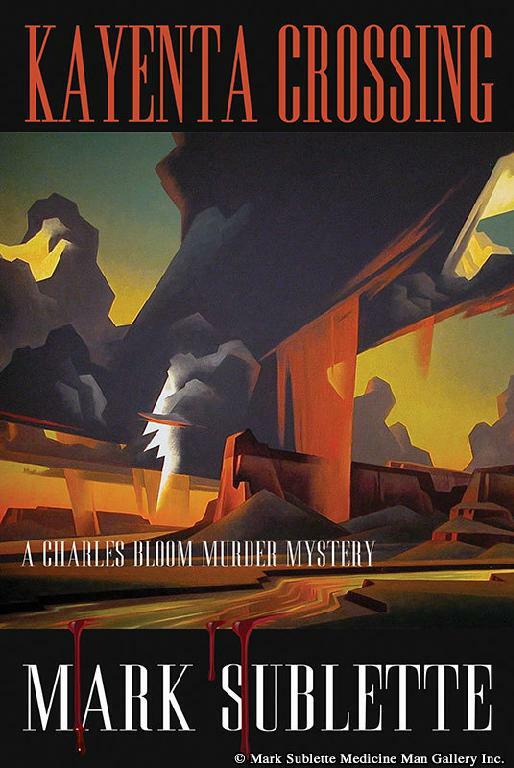 Kayenta Crossing is second in Charles Bloom Murder Mystery series. On July 19 from 4 to 5 p.m. Sublette will be signing copies of Kayenta Crossing, the second installment of the Charles Bloom Murder Mystery series, at his Santa Fe Medicine Man Gallery. The new book is set on the Navajo Reservation north of Kayenta, Arizona, where Dr. Carson Riddly begins his family practice stint. When a murder occurs, everyone becomes a suspect, even the doctor. Riddly reaches out to art dealer Charles Bloom to help solve the case. Together they must crack the mystery before they become next on the growing list of victims. As a medical professional, Sublette could relate with Riddly. "There's no doubt a bit of myself is incorporated into the Carson character," he says. "I could relate to many of the situations he felt as a fresh young doctor out of residency thrown into the lion's den of a rural clinic, where you were the only doctor for miles around." While the books he writes are fiction, 20 years experience as an art dealer has allowed Sublette to see a spectrum of real-life scenarios with dealers and collectors. Photos in Kayenta Crossing were taken by Sublette himself, who adds, "I believe the additional visual references enhance the story line. For me, being surrounded by the geography and the local residences was immensely helpful in writing my books." The third installment in the series, titled Hidden Canyon, will beavailable summer 2014.